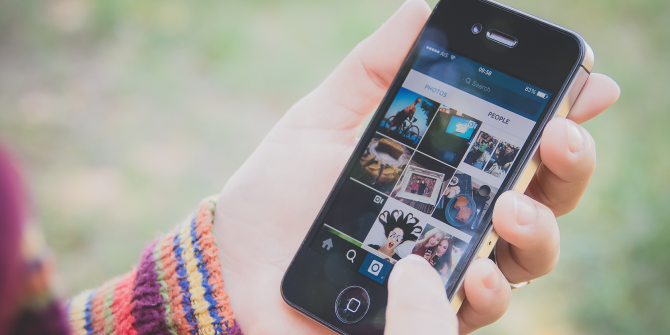 Most people use Instagram with a mobile device: it’s easier and more convenient to take and view photos that way. However, there’s a problem with Instagram. Despite being a free platform, there’s one feature that’s costing mobile users a lot of money. That feature is autoplaying video. Here’s how to disable it. Open the Instagram app and click the gear icon to bring up Options. Under the Settings category, click Cellular Data Use and ensure Use Less Data is enabled. If you want to prevent Instagram from using additional data, you can disable push notifications. The amount of data these use is minimal, but every little bit helps. To disable them, go to Options > Push Notification Settings and scroll through each of them, disabling the notifications you don’t want. I have them all disabled, but you can selectively enable those you want to keep. When you live on your phone — and these days, who doesn’t? — it’s important to be wary of these seemingly innocuous inclusions by mobile app developers if you want to minimize the data you use Saving Mobile Data: 5 Clever Ways To Reduce Data Usage Saving Mobile Data: 5 Clever Ways To Reduce Data Usage If you’re on a limited mobile data plan, you may find opening your bill to be harrowing experience. Is there an overage charge? How much? And why was there so much data used? While the... Read More each month. Or you could just find a better data plan The Best US Cellular Data Plans for Your Smartphone The Best US Cellular Data Plans for Your Smartphone Though mobile phones have improved over the years, cellular plans have either stayed the same or gotten worse. Luckily, we've found the best deals for US smartphone users. Read More . What other apps have you found that are eating your data with features enabled by default? Let us know in the comments below.